How about an oil cleansing method? Have you ever tried any oil cleansers? Well, I believe you should at least give it a try. At least for a week or two. Because…my skin loves it and yours might too! 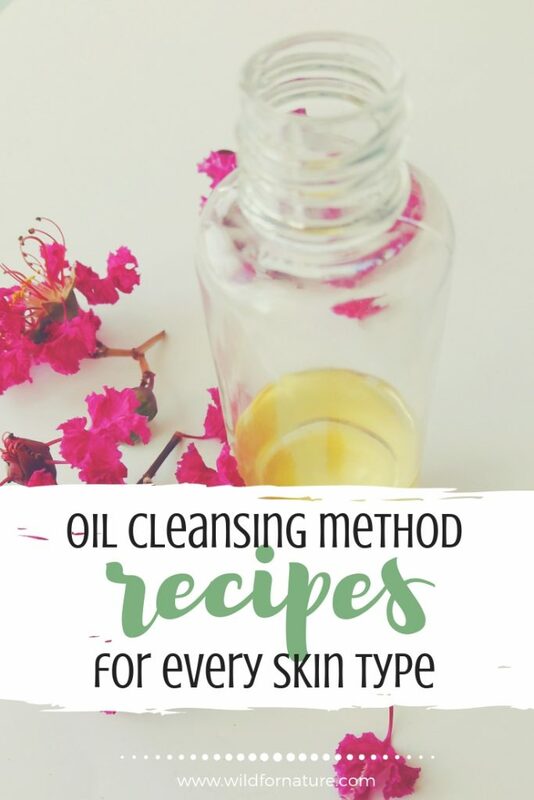 Don’t worry, I give you all the information on what oils to use, and oil cleansing method recipes for your skin type! I know, I know. Now you’re thinking…but Kat, how can oil be cleansing? What on earth are you talking about? Let me tell you; if you weren’t skeptical, I’d be surprised. I was too. That’s the only reason why it took me so long to even try it. After all, I have combination skin; that eternal T can be fatal with wrong ingredients. Then I’d have half of my face looking porcelain beauty doll, and the other one covered in volcanic acne eruption that would last for weeks. The oil doesn’t cleanse, oil causes acne and clogs pores, right? Well, to some extent you’re right. But the Internet is raving about the oil cleansing method and that’s why we’re talking about it too. Let’s have a look what the fuss is all about (if you already know, the oil cleansing method recipes below!). Is oil cleansing good for acne? Which oils are best for oil cleansing method? How do you do oil cleansing? 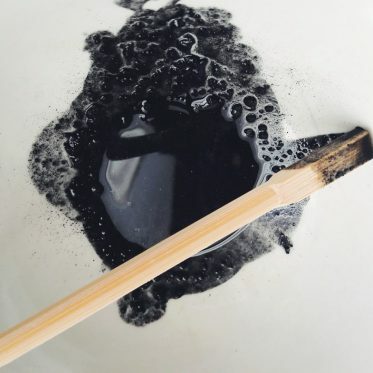 How often do you do the oil cleansing method? Oil cleansing method or OCM in short means covering your face in oil to cleanse your skin. You can benefit from this method in the long run, many people swear by it and praise it to the stars. Whether you believe it or not, the OCM helps you clear your skin, heal it, and moisturize it. Well, unlike your regular cleansers that leave your skin dry and stripped of natural oils, the OCM can help remove impurities, dissolve them, and keep the outer skin barrier nourished and functioning properly. That’s why your skin doesn’t produce more oil than necessary. At the same time, it doesn’t become dry, flaky, and irritated. To achieve that, you need to get the right oil for your skin type, and we’ll talk about that below. Because you can help your skin to find balance with an oil that suits your needs and your skin type. You’ll be able to return your skin to its natural state and the best part about it? No harsh chemicals that would further damage your skin. No oil stripping that would cause more oil buildup. The oil cleansing method works on the principle that oil dissolves oil. The basic concept of this skin care and cleansing method is that the oil used to massage your skin will dissolve the oil that has hardened with impurities and found itself stuck in your pores. The steam will open your pores, allowing the oil to be easily removed. Should you need it, the smallest drop of the same oil formula patted over damp skin will provide the necessary lubrication to keep your skin from over-compensating in oil production. The oil cleansing method requires two different carrier oils. 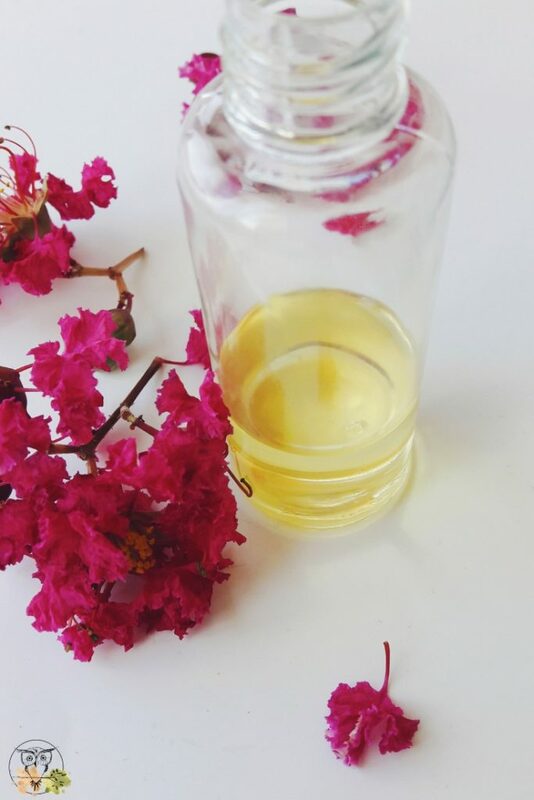 While castor oil is normally a must in most oil cleansing method recipes, we’ll have a look at how you can substitute it with other carrier oils. Castor oil on its own is a drying oil and it will eventually draw too much moisture from your skin if you use too much. It’s great in small amounts though! The second oil (or two) depends only on your skin type. I’ll talk about that in a minute. Whatever oil you choose, make sure to get unrefined, cold-pressed oils of high-quality. The higher the quality, the more nutrients, antioxidants, and benefits for your skin! Fact: Oil dissolves oil. One of the most basic principles of chemistry is that “like dissolves like.” The best way to dissolve a non-polar solvent like sebum/oil, is by using another non-polar solvent similar in composition: Other oils. By using the right oils, you can cleanse your pores of dirt and bacteria naturally, gently and effectively, while replacing the dirty oil with beneficial ones extracted from natural botanicals, vegetables and fruit that heal, protect and nourish your skin. When done properly and consistently, the OCM can clear the skin from issues like oily skin, dry skin, sensitive skin, blackheads, whiteheads and other problems caused by mild to moderate acne–while leaving your skin healthy, balanced and properly moisturized. Olive oil because apparently those EVOOs that claim to be all the extra, and special, and cold-pressed, and unrefined are actually poor quality oils. Since we all have different skin types, have a look at the list below. For the best oil cleansing method effects, I’d recommend you the use of the oils based on your skin type. Test it and try it until you get the desired ratio. Since oily skin has been linked with a lack of linoleic acid, an ideal oil for your skin type would be a light oil rich in linoleic acid. Your skin is oily, when it produces too much sebum, which means that it feels greasy and looks shiny. You’re probably prone to acne, so stick to non-comedogenic oils in your skincare regimen. My personal favorite is rosehip seed oil for a while now. Read more about it here! For the dry skin, you’re looking for a nourishing oil that will soothe itchy, irritated skin. These oils are a bit richer than the ones for oily skin, and you’re looking for high oleic acid content. Why oleic? 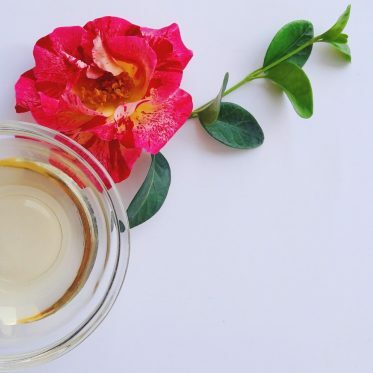 Oils that are high in oleic acid are normally heavier and richer they lock in moisture and are recommended for dry skin, but definitely not for acne-prone skin and oily skin. These oils can reduce inflammation, boosts antioxidant properties, promote the healing process of the skin. You can easily get a more balanced oil, that’s got approximately equal amounts of linoleic and oleic acids. My personal favorites include rosehip oil and argan oil. For aging skin, make sure to get the oils that are rich in antioxidants and boost collagen and elasticity. These oils minimize the appearance of fine lines and wrinkles and hydrate your skin at the same time. Jojoba oil can be used as a base oil for the oil cleansing method as well, but it can cause breakouts for some people. While it’s not usually listed as comedogenic, it sometimes can be (who can tell). In case you have any issues with it, stop using it. Or better, to avoid any potential breakouts (if your skin is extra prone to that), use a different oil in the first place instead. 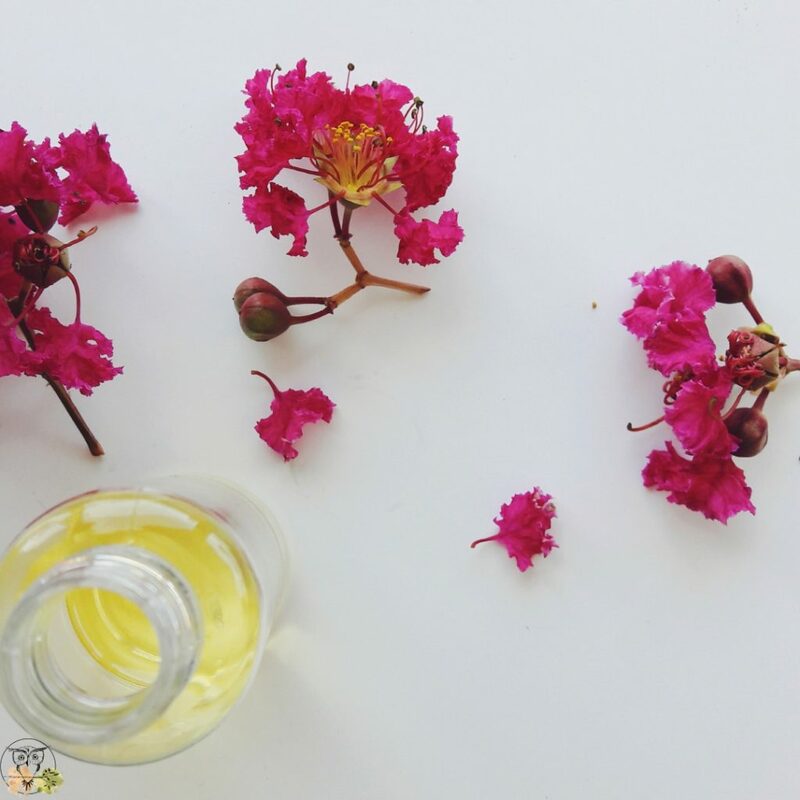 I love jojoba and so does my skin, but then again, we’re all different! Essential oils can add an extra kick of whatever they promote to your oil cleansing blend. Don’t go overboard; I’d recommend you use 4 drops essential oil per 1 TBSP of carrier oil. The following blends are measured to make up about 1 oz bottle (which makes about 6 TSP). You can always double the amount, the measures are here as a base point that can help you orientate. In any case, start out with small batches (teaspoons) and adjust with time, if needed. 10% castor oil (0.5 TSP): if you’re not a fan of castor oil and you don’t trust it, feel free to substitute castor with hazelnut oil instead. For this skin type, omit castor oil altogether. Think only rich and nourishing oils; you may want to consider using plant butters, such as shea, mango, and cocoa butter. I’d skip coconut oil as it is comedogenic and it may clog your pores! Take your time. Start with the oil cleansing method once a week. Slowly, as your skin gets adjusted to the new cleansing process you can make the OCM a more regular thing, think two to three times a week. Some people prefer to use the OCM every day. You can give it a try, but I’d recommend sticking to a few times a week since it provides a deep cleanse. When using citrus essential oils, they can be phototoxic. Use them only in the evening. 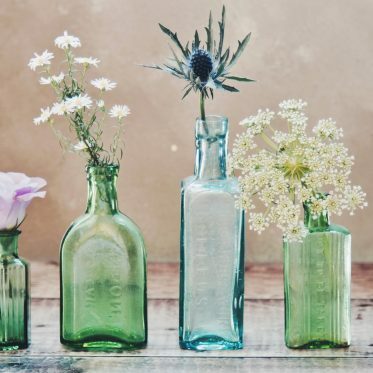 You want to avoid any sun exposure otherwise these essential oils can damage your skin. Once a day is enough to oil cleanse, depending on how dirty your skin is. I never use it in the morning, as I don’t feel the need (I exfoliate then). If your skin feels dry, use it once daily tops! When blending, start with small batches; 1 TSP of each oil until you figure out what your skin wants. Try and test any blend you make for at least two weeks to get the best idea about the oil-skin compatibility. For the first few days, it might seem that your skin is getting worse. Relax, this is normal. It means the cleansing method is working, bringing impurities to the surface. Your oil ratio differs from mine. Remember, castor oil is drying; start with a smaller ratio at first. Stay away of coconut oil and olive oil in your oil cleansing method. Just, don’t. Try the oil cleansing method recipes until you get it right. If the oil cleansing method doesn’t work for you at all, don’t stress about it. You’ll find something else that will! What’s your ideal ratio in the oil cleanser recipe? Let me know below! 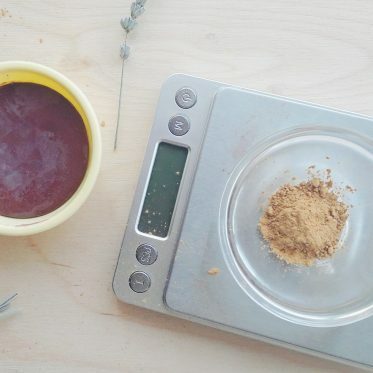 Previous Post5 Homemade Exfoliating Body Scrub Recipes: Nourish Your Skin Now!